Karyn Hamilton and her husband bought a bank foreclosed 28×72 double wide ten years ago. 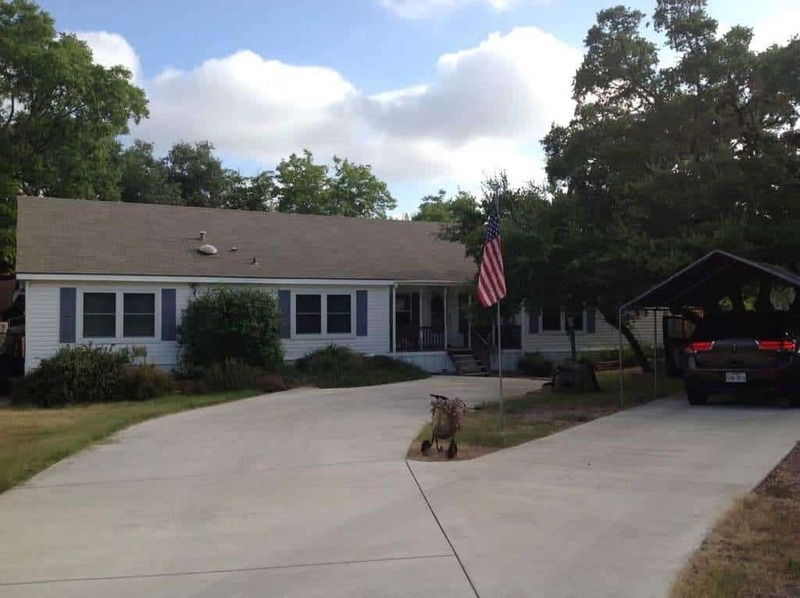 It had been used as a sales office so it took an extra touch to turn the manufactured home into a great space anyone would be proud to call home. They did it, though. With Karyn’s interior design talent, the former sales office was transformed into a beautiful double wide with country primitive decor. 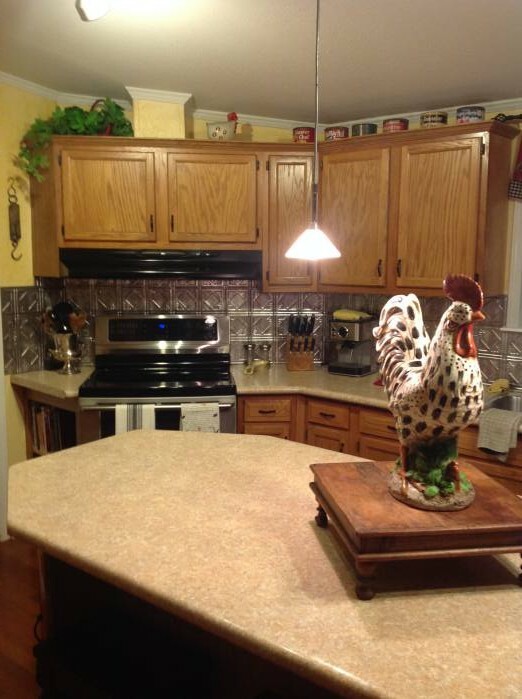 The beautiful double wide with country primitive decor home has new counter tops and a great tin backsplash adds lots of function and style. 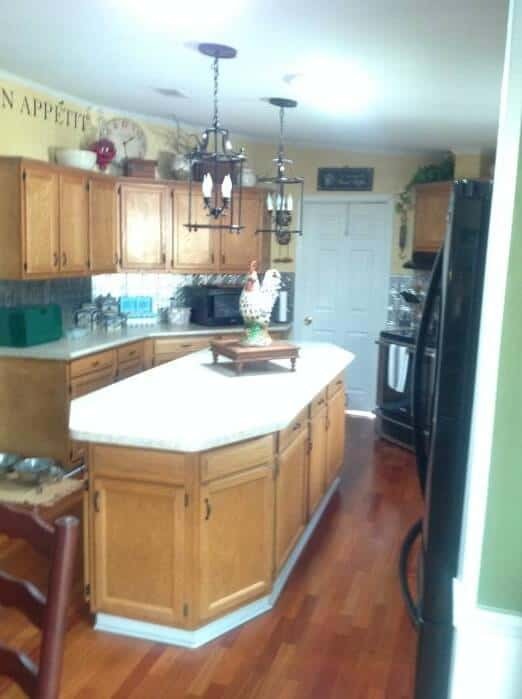 The couple also removed the popcorn ceiling throughout the home, painting the smooth results in a bright white. 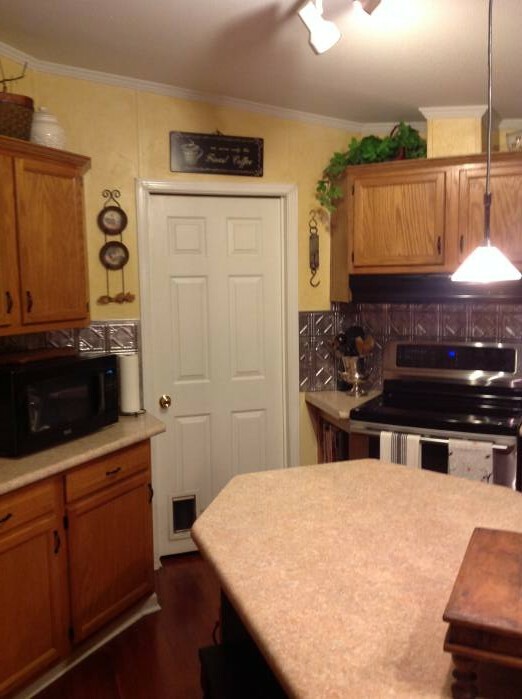 Trim was also painted a clean white – pulling the space together perfectly. 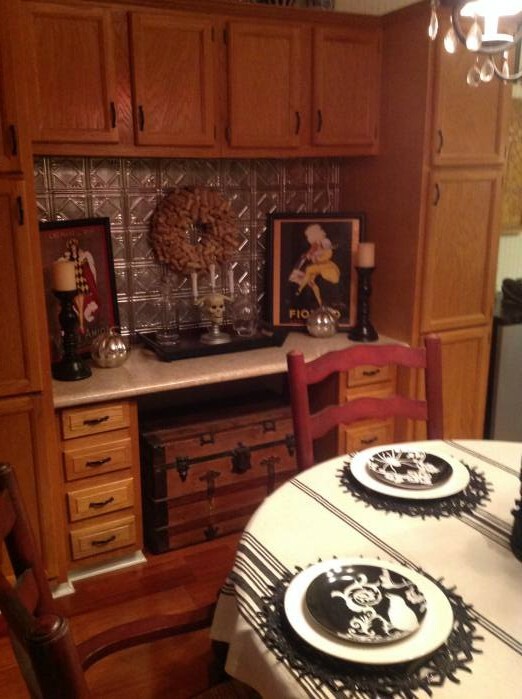 Karyn did a great job making the kitchen a beautiful, yet cozy and functional, space. 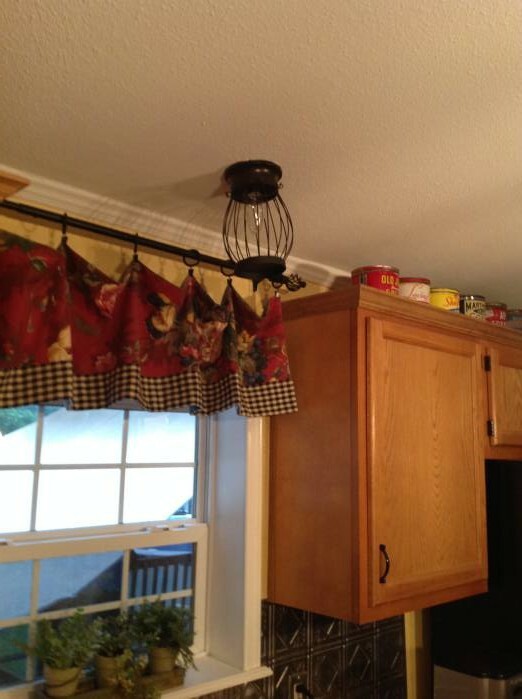 She even made the light fixture over the kitchen sink! 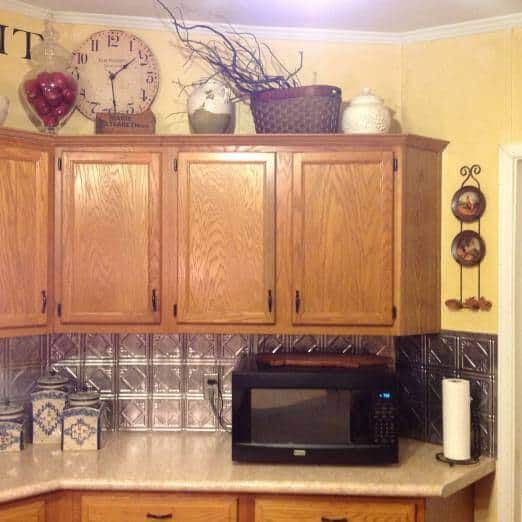 Using the primitive tin backsplash in the dining room pulls the two spaces together. Color and texture top the room off perfectly! 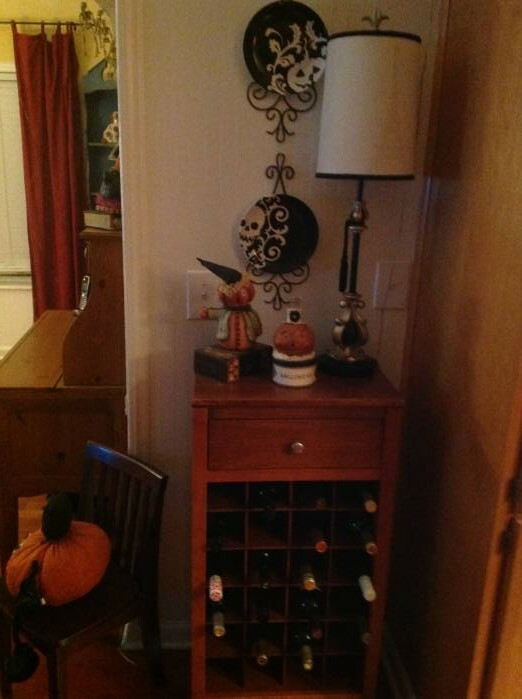 Karyn can decorate a room beautifully! 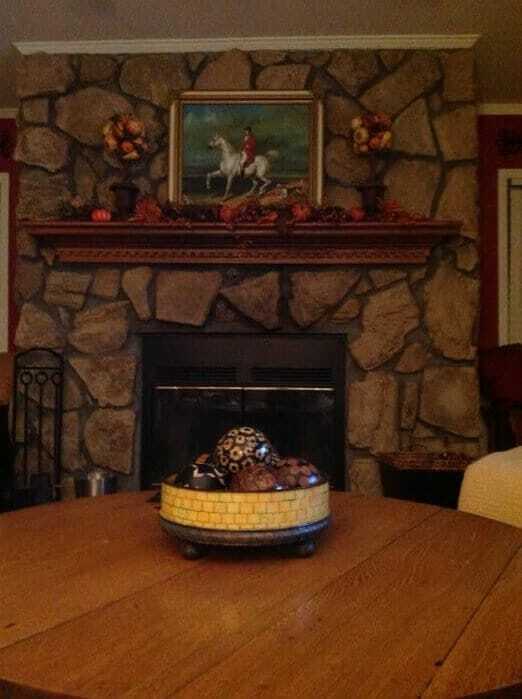 The fireplace is decorated in a great fall motif! 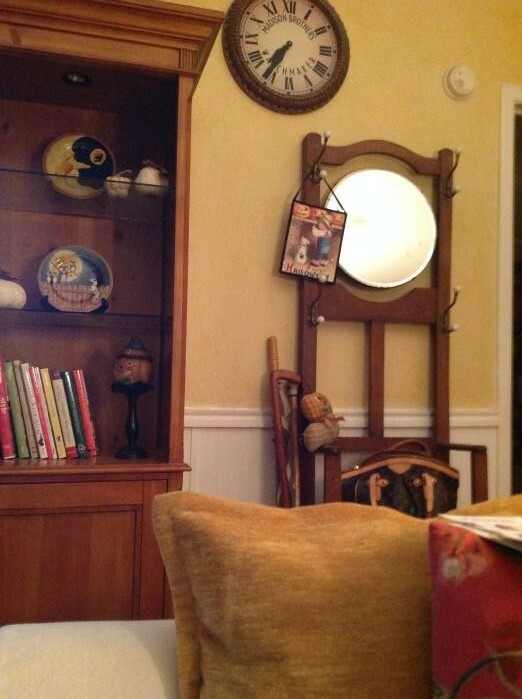 This corner image is an excellent example of how to pull two spaces together with small details. 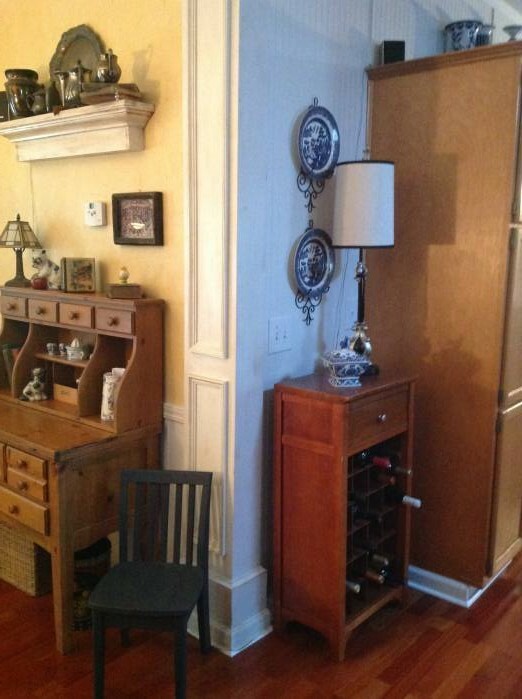 The column is trimmed in a wainscoting style – this creates a perfect transition between the two walls. The Hamilton Home is full of beautiful color and texture. Smart storage solutions are also used to create a functional, stylish space. The Hamiltons built a beautiful home with smart updates like ceramic tile, hardwood floors, and beadboard wainscoting. They also added granite to the guest bath, built decks onto the home and replaced the old gravel driveway with concrete. So glad to have run across this website. I agree…there is not enough information on how to remodel MH’s. Thanks for sharing!! Thank yo so much Michelle! I’m so glad you ran into it too! I appreciate you taking the time to say hello and I hope to hear from you lots more! So great to hear from you Sharon! 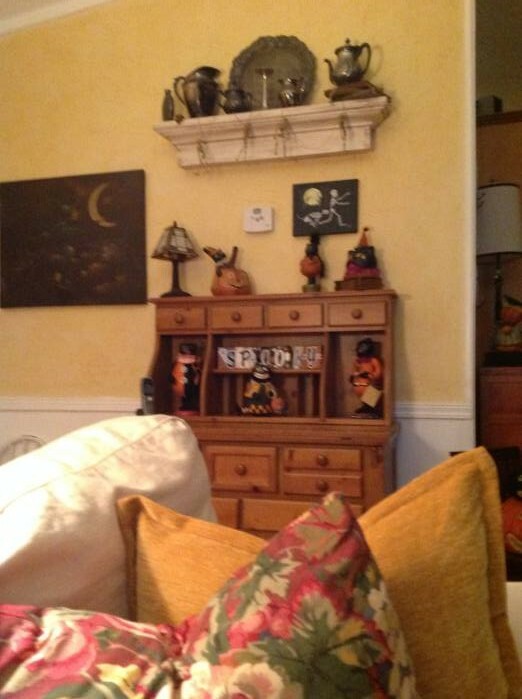 Take lots of photos for us – we’d love to feature your home whenever you get it all finished. Thanks so much for reading MHL and for taking the time to comment. very cool place and space! I wish I could wiggle my nose and mine would look like that! 🙂 Great job, there is nothing you can’t do with a mobile, some you would never know.